Grant awardees were selected based on the applicant’s ability to illustrate artistic excellence, broaden the understanding of the role arts play in society, demonstrate cross-sector work, exhibit cultural relevancy, foster community engagement, and present opportunities for shared learning. “This initiative responds to the growing desire of artists and arts organizations to use their creativity and talents to make a difference in their community. At the same time those engaged in issues like education, poverty, public safety and health increasingly are looking to the arts as a partner in their work. We embrace this opportunity to support this work in our community." 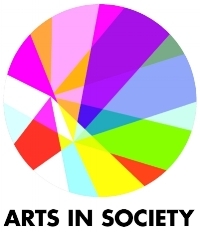 “This program is a great model for how Denver’s funding and philanthropic community can respond and financially support the growing number of artists and organizations that do not fit into one sector but rather are impacting social change through the excellent intersection of arts and society,” said RedLine Executive Director, Louise Martorano. Elsewhere Studios is an artist residency program in western CO, hosting artists from around the world to have time and space to focus on their work. Elsewhere’s project, INSPIRED: Art at Work, will bring artists to Paonia in summer 2018 for a two-month residency. Working closely with local artists, five local partner organizations (Citizens for a Healthy Community, Western Colorado Conservation Center, Farm and Food Alliance, Solar Energy International, and the North Fork Valley Creative Coalition), scientists, and policy makers, they will create socially-engaged artworks that address preservation of culture, environment, and values under threat by fracking, development, and loss of jobs. These collaborations and a final symposium are designed to broadly engage the community and promote dialog about concerns vital to the future of this rural area. Through a series of meetings/discussions, the artists and community members will define a particular issue or set of issues (such as, the impact of fracking, Gunnison River health, air quality, changing energy resources, the loss of coal mining jobs, changing cultural norms, etc.) Using creative practices and community engagement they will target and address selected environmental, cultural, social, and economic issues vital to preserving the natural world and the quality of life and sense of place in the North Fork Valley. Although these works will address a unique geographical and cultural landscape, the issues are universal with national and international pertinence. The project will culminate in a symposium featuring the artists and local and national speakers. The work produced during the collaboration will be highlighted along with readings, films, music, live art, and tours of the valley to visit art installations, farms, and wineries. The artists will also have the opportunity to speak about their work and engage in public discussions about the ideas and process of making socially-engaged art while they are in-residence at Elsewhere—a great benefit to local artists and community members. Elsewhere Studios Awarded Two Grants! The National Endowment for the Arts has awarded Elsewhere Studios a $10,000 grant through the Art Works category that supports the creation of work and presentation of both new and existing work, lifelong learning in the arts, and public engagement with the arts through 13 arts disciplines or fields. Elsewhere Studios is one of 22 grants awarded in Colorado. It is part of awards totaling more than $27.6 million distributed by NEA in its first funding round of fiscal year 2016. The Elsewhere Studios project will focus on the creation and presentation of new works by two emerging or mid-career artists in residence in the fields of fashion design and music composition. They will be selected through a competitive application process and will work with local professional artists, designers and composers, in a unique setting designated as a Colorado Creative District. Applications can be completed online at http://www.elsewherestudios.org/the-residency-how-to-apply/. The residency program includes housing, studio space, and a monthly stipend. Residencies will include open studios, exhibitions, and presentations open to the public, and will culminate in participation in two regional signature events, The Paonia Fashion Show and The Mountain Harvest Festival. Studios has hosted 116 artists from 19 states and 9 countries. The residents give back to the community through bimonthly exhibitions, presentations, readings, performances, workshops, and collaborative art projects. The Community Supported Art Library promotes over 30 local artists and provides a way for members to check out original art to bring into their homes and businesses. The main Gallery is located at The Hive and art is also displayed in three other public venues in Paonia. The Community Garden, located on Elsewhere grounds, hosts free workshops on permaculture, biodynamics, composting, food forests, etc. It is maintained by volunteers and provides produce to the Elsewhere residents and the community. The Art Wall, first phase of an Alleyscape Project, was built by over 100 local community members. Both grants were awarded through a competitive process and require matching funds. The awards signify that Elsewhere Studios provides a high-level of quality in its programs, community service, and administrative ability.